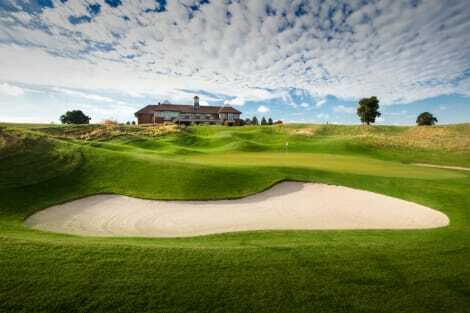 Have a delightful stay amid acres of lush countryside at DoubleTree by Hilton Oxford Belfry. Perfect for work visits and long weekends alike, our hotel is conveniently off the M40 motorway and 10 miles from Oxford's eclectic museums and famed university. Shop designer fashions at Bicester Village or see the stunning Blenheim Palace, a UNESCO World Heritage Site.We look forward to welcoming you with a warm DoubleTree Chocolate Chip Cookie at check-in. Settle into a guest room with fresh modern décor, complimentary WiFi, an HDTV, work desk, and en suite bath/shower. Deluxe rooms offer extra space and amenities, and suites include a separate lounge area with sofa bed.Enjoy a relaxed atmosphere and tasty British cuisine from morning 'til night in our restaurant, and enjoy cocktails and light bites in the terrace bar. Room service is available 24 hours, perfect for busy schedules.Our spa entices with a relaxation lounge and 9 private treatment rooms, and the health club offers guests a heated indoor pool, steam room, sauna and fully equipped fitness center. Play tennis on our outdoor courts or unwind with a stroll in the sunny courtyard.The hotel grounds span 17 acres, with plenty of beautiful outdoor areas for weddings and photos. All 18 meeting rooms boast natural light and can stylishly accommodate any event, from board meetings to celebration dinners to corporate conferences. Let our dedicated coordinators assist with the details. Featured amenities include dry cleaning/laundry services, a 24-hour front desk, and a safe deposit box at the front desk. Planning an event in Thame? This hotel has facilities measuring 2519 square feet (234 square meters), including conference space. Self parking (subject to charges) is available onsite. Make yourself at home in one of the 50 air-conditioned rooms featuring LCD televisions. Your Select Comfort bed comes with Egyptian cotton sheets. Rooms have private balconies. Complimentary wireless Internet access keeps you connected, and cable programming is available for your entertainment. Private bathrooms with separate bathtubs and showers feature designer toiletries and hair dryers. Thame is a scenic market town in the pictorial Oxfordshire countryside and has been inhabited since before the invasion of William the Conqueror in the 11th century. The settlement, which was also a medieval monastic centre, was once the home of the celebrated Irish poet and writer W. B. Yeats, one of Ireland's greatest literary geniuses, and the internationally renowned singer and Bee Gees member Robin Gibb. Although dissolved during the Dissolution of the Monasteries in the 16th century, Thame Abbey was an important Cistercian abbey and was founded in the Norman era. Although much of the structure was demolished, the Abbot's House survived and was converted into a grand home in the 16th century. Just 11 miles away, at first glance you could be forgiven for thinking that you might have been transported to a majestic château in the French Loire Valley when you visit Waddesdon Manor. That's because this elaborate Neorenaissance building was built specifically to emulate the appearance of a French castle with its eclectic architecture and Renaissance features. The house is one of the most visited National Trust properties in Britain, and is noted for its vast landscaped park and French-style gardens. Visit the City of Dreaming Spires, Oxford, just an 18-mile journey, and explore the quaint medieval colleges that comprise the University of Oxford, one of the world's leading higher education institutions. Founded in 1096, the university is the oldest in the English-speaking world, with alumni including dozens of world leaders, Nobel Laureates, famous actors, acclaimed authors, and other countless influential figures. For some tantalising Gallic-inspired recipes, you can dine at The Swan at Tetsworth, or enjoy some equally delicious British cuisine at the James Figg restaurant. Head to the Angel Restaurant for other mouthwatering contemporary dishes, choose The Thatch for other delightful British recipes, or try the Pad Thai at The Rising Sun for some divine Thai food. 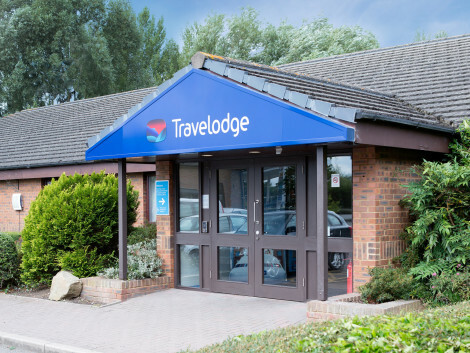 Stay at elegant Lansgmeade House for excellent hospitality and comforSEOSITE_LEVEL_DESCRIPTION accommodation, or choose the stylish, affordable Travelodge Thame Hotel. 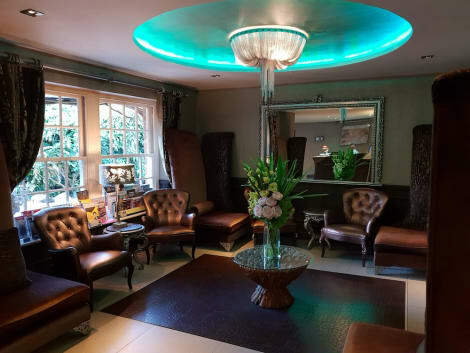 Other highly regarded Thame hotels include The Swan Hotel, the Black Horse Hotel, and The Spread Eagle Hotel.